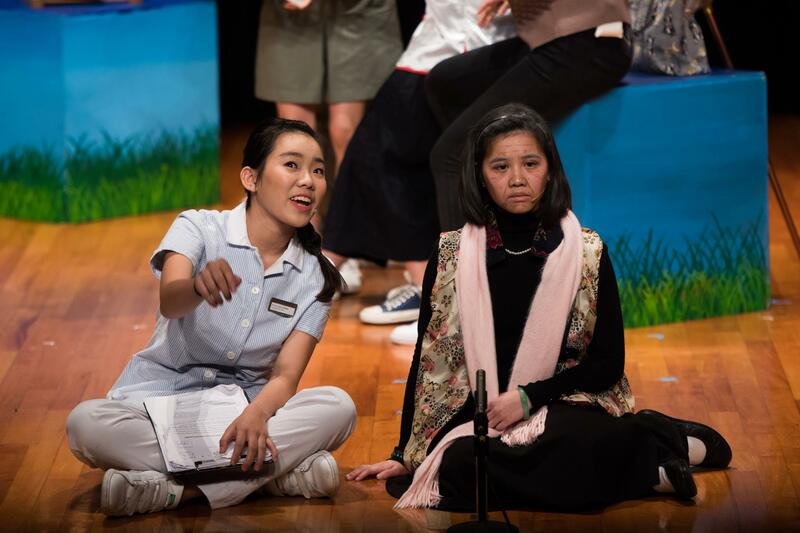 Our Drama Team attended a drama competition organized by the Hong Kong Housing Society (HKHS) for secondary schools this academic year. The finale was held at the Chiang Chen Studio Theatre of The Hong Kong Polytechnic University on Friday evening (15 March). There were over 200 participants including teachers, students, parents and guests. The theme of the competition is 'Generation Gap? No Way!'. The competition aims at inspiring the participants to share their aspirations and views on inter-generational relationships through creative screenplay writing and captivating performance on the stage. Finally , our Drama Team won three awards including the 2nd Runner-Up, Best Costume Design and Best Actress (Abbie Lo) in this competition.